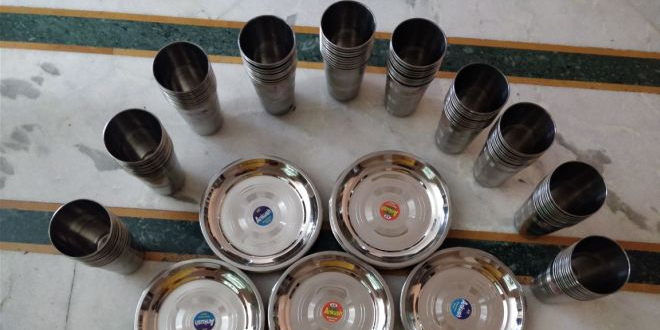 In a first, a unique bank opens up in Delhi-NCR, only this time it will lend citizens steel utensils for functions and occasions free of cost to replace plastics. New Delhi: The problem with plastic is that alternatives are hard to find but that doesn’t mean that alternatives are not there or solutions cannot be figured out. 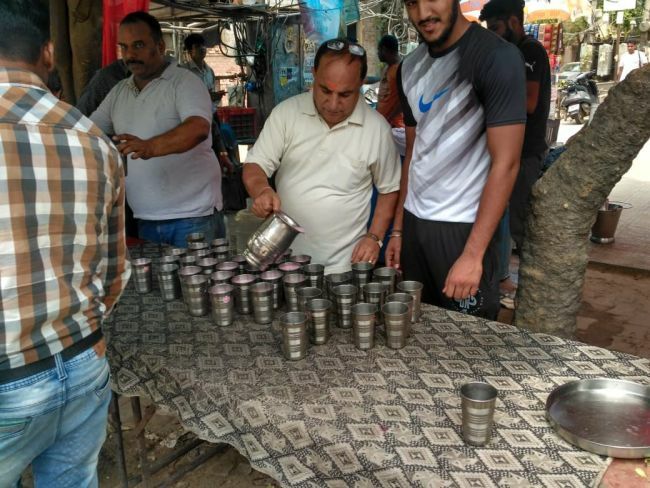 A 45-year-old Gurugram resident of Sector-14 Sameera Satija has opened up a ‘Steel Crockery Bank’ through which she lends citizens steel utensils such as glasses and plates for functions and occasions free of cost. Reason –Sameera wants people to ditch the single-use disposable plastic and reduce the plastic waste burden of the city. I believe in doing my bit for the society, it is very easy to blame the government – on what they are doing and what they are not. But, we need to ask ourselves as waste generators – what are we doing to curb the growing waste in the cities? People do things like serving food or drinks to other people for their good deeds, but in the process, there is a lot of waste is generated which end up harming the environment and health. Nobody ever thinks about green good deeds. My question is why? If we are generating the waste, we should be responsible for it. I was simply irritated to see these sights in my area, for me serving people in single-use plastics is a crime. There are so many studies to prove that serving food in plastic harms the health of the person. And, yet we are doing that! Sameera knew that asking people to buy steel cutlery will not solve this problem since many people will not agree to do so. To overcome this barrier, Sameera shelled Rs. 10,000 from her own pocket to start a bank of steel cutlery – one with glasses, plates, and quarter-plates. Through her Facebook page ‘Crockery Bank For Everyone’, Sameera is promoting her green idea. So, next time you have a function, instead of opting for single-use plastics, simply get in touch with Sameera, she will be more than happy to provide these alternatives to you. This service is available across Delhi and NCR regions, the only condition – Take cutlery, don’t harm the environment and return them back to her. To avail the benefits of this service, all you have to do is share your programme date and contact number with Sameera. She will soon get back to you and confirm the availability. In order to ensure that people return the cutlery back to her, Sameera asks for a written letter, the requirement from the Resident Welfare Association functionary or the ward councilor. If that is not possible, then two members who require the crockery will have to submit their IDs and address proofs to Sameera. Apart from giving steel cutlery, Sameera is also spreading awareness on how to wash them in an eco-friendly manner, she is asking people to opt for disinfectant dishwashing liquid instead of a normal detergent so that zero harm is done to the soil, water or ground. It is high time we start thinking like a waste generator instead of just a consumer. If my money is my responsibility, then my waste is my responsibility too. The waste crisis in India is alarming, everyone has to think collectively, we all need to take steps. These small steps will give us a bright and green future. Previous Post: This 37-Year-Old Woman From Noida Brings Barter System Back: Solution To Deal With Excess Waste In Noida. Next Post: This 25-Year-Old From Mumbai Knows How To Use Discarded Plastic Bottles Innovatively.